BGC Masters Day 3: Neil Robertson saw off Mark Allen by 6-3 to join John Higgins in the quarter-finals, who beaten Matthew Stevens by 6-2. 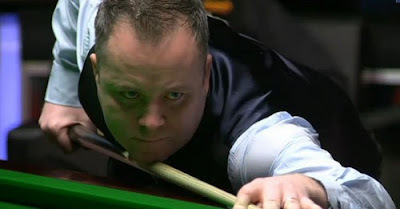 Higgins was simply happy because he defeated Matthew Stevens to get through to the quarter-finals. Stevens, who appeared to play his first match in four years time seemed to be nervous. 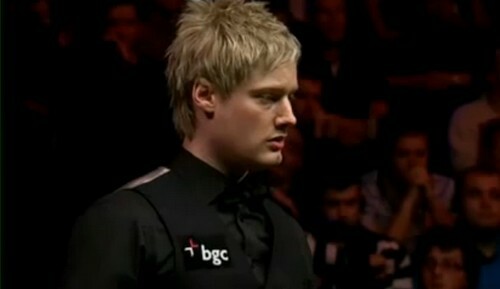 The Welshman took only one frame with 65 to let Higgins go 3-1 up at the mid session. Having missed too many easy balls, Stevens allowed the Wizard of Wishaw cruised at the end with 69 and 44 to win 6-2. Meanwhile, the Aussie was too strong for the Northern Irish. Robertson took the opening frame with a 74 before Allen winning the next two with runs of 124 and 88 to lead 2-1. In the fourth frame, Allen was closed to win but missed on 43 to leave Robertson a chance. Robertson cleared with 77 to go all squared 2-2. The players continued to produce their best but the Aussie proved he was in a better form. He made 100 to lead 4-3 and Allen looked for the chance to go tie. The mistake by the Pistol in frame 8 was costly that his break of 53 ended on a missed easy red was outplayed by Robertson's 71. The match-winning break 80 from Robertson left Allen alone in the final frame to clinch a 6-3 victory. Robertson said: "I've never had a good run in this event but I think that's just coincidence really. In this tournament you're coming up against top players all the time. I think if you can just get a little bit lucky when they're not on song then you've got to take advantage. Unluckily for me I've played people who have been at their absolute best so hopefully Williams won't be the same."